Britain's best-loved small car, the Mini, had a production life spanning over four decades. During those 41 years, it became a fashion icon, a motorsport hero and turned out to be one of the most influential cars the world will ever see. Initially conceived as a fuel-saving, efficient and easy to drive small car, Alec Issigonis' miniature masterpiece evolved continually until production drew to a close on 4th October 2000. By the late '90s, however, the Mini had become much more than just a cheap runaround. With the backing of BMW, Rover thoroughly re-engineered the then 38 year old design to create what will forever be known as The Last Minis. This website is dedicated to the MPi Minis - the very last examples of Britain's favourite small car. The Last Minis is the internet's largest resource for the twin-point cars, featuring rare photographs, videos and anecdotes from the final four years of the Mini. The site also provides a home for owners of twin-point cars, with a discussion forum allowing like-minded Mini fans to share their knowledge, information and pictures of their own cars. My other site dedicated to all cars. 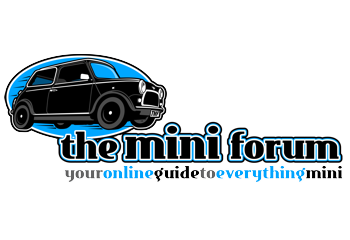 Classic Mini Finder is a specialist bespoke service for those looking to source a ‘Classic Mini’, removing the need to search the classifieds, other periodicals, or endless web pages on and around the internet! We concentrate on Classic Minis from the era 1959 to 2000, but if you are looking for an unusual Classic Mini, we are more than happy to source anything you desire. The model range and derivatives were quite varied. Indeed, we do love a challenge! Often, we will know of vehicles before they come to market, and as such, we are able to pass on this advantage to you before vehicles become openly available for sale. 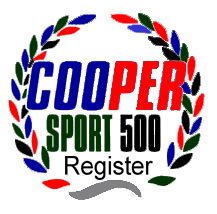 The Cooper Car Company S Conversion Register is a group formed for all those who own or share interest in the new range S conversions launched by Mike Cooper in connection with Mini Sport. The new S range returned to the classic mini scene at the Beaulieu Mini show on June 8th 2014. The S kits available include the most popular 1275 MPI conversion, the 1275 SPI, 1275 carb and the 998 carb. If you own a new range S conversion or have interest in the conversions then this is the place to be.